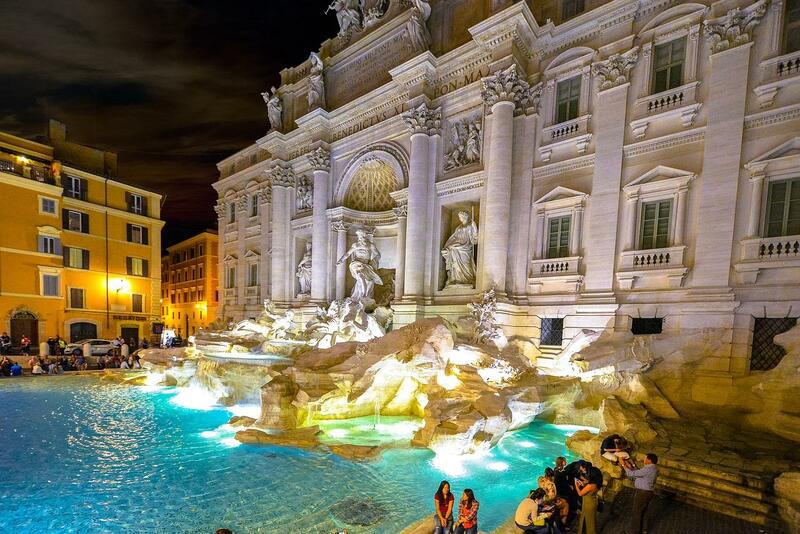 Rome, one of the world’s premier city break destinations. A city that is synonymous with culture, history. religion and sporting events. Many who visit Rome for the first time become overwhelmed by the sheer scale of everything. There is no end to the unique Roman charm. It lines each street and piazza, through decorative features on buildings and on each corner, in the form of ancient religious and empirical statements, statues and monuments. The fact remains, Rome is glorious, the city is spectacular and awe inspiring to levels I have seen from no other city. For this reason I recommend doing a little homework before setting off on your journey to the Eternal City. Rome was famously built around and upon 7 hills just east of the river Tiber. The central area of Rome called Colosseo District is where you can find a large amount of Rome’s ancient attractions, such as The Roman Forum and The Colosseum. Another district to note is called Old Rome, this area of the city feature much of Rome’s Renaissance architecture and some of the most notable buildings & monuments include The Pantheon and Fiumi Fountain. This area is also filled with a multitude of beautiful piazzas and monuments. Unfortunately you will not get to see all that Rome has to offer in just a few days or even a week. There is so much to see and do that you should consider all the options on this list and pick out 5-10 sites that you would like to visit over a three day period. Of course you can always come back to the Eternal City to continue your Roman adventure. If you are looking for fantastic affordable food, you should check out this place. It is the no.1 rated place to eat in the whole of Rome. 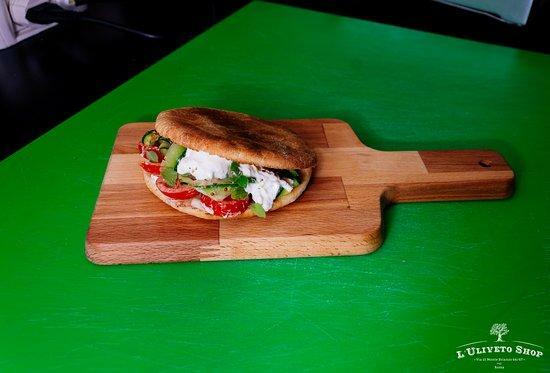 With bruschetta, sandwiches and even wild boar you can choose from a diverse array of Italian street food in a casual surrounding. The wonderful Capitoline Museums are in fact a single museum that contains a collection of art and archeological museums. 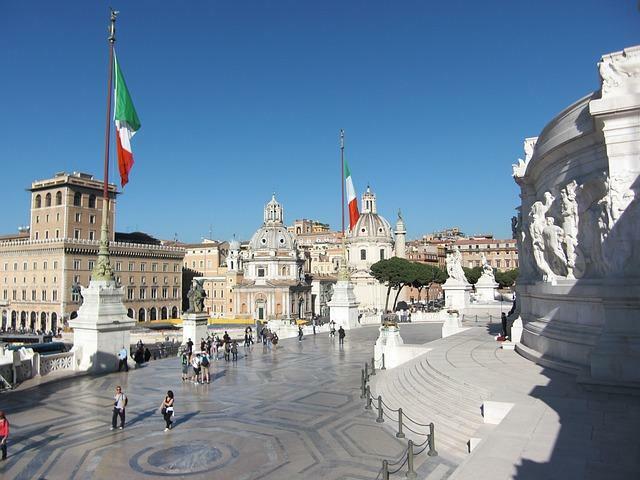 Located in Piazza del Campidoglio, on top of the Capitoline Hill in Rome. 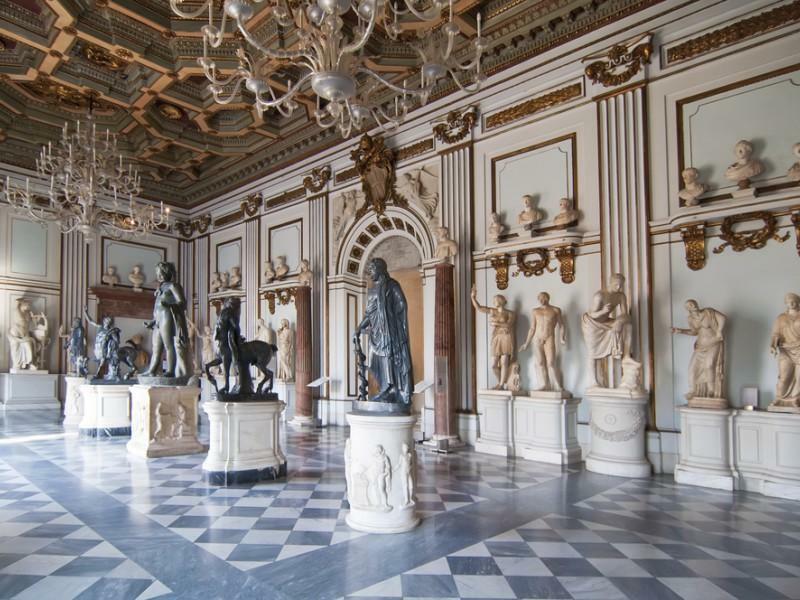 The Capitoline Museums are the world’s oldest public museums, dating back to 1471. The collection held here of classical sculpture is one of Italy’s finest collections and it includes marcus aurelius. The building itself was designed by Michelangelo in 1536 but amazingly was not actually built for another 400 years. The collections was begun when Pope Sixtus IV donated a group of bronze statues in the 15th century. This ancient harbour city of Rome is an important archaeological site. Osita is well known for its mosaics and frescoes which can be seen on these well preserved ancient buildings. The area was once inhabited by over 50,000 people in the 2nd century and statistics state that this figure rose above 100,000 people some time later. However, it is now a ghost town, very much like Pompeii further south. Conveniently you can get to Ostia Antica by train from central Rome, meaning the 20 mile journey can be taken in minutes. 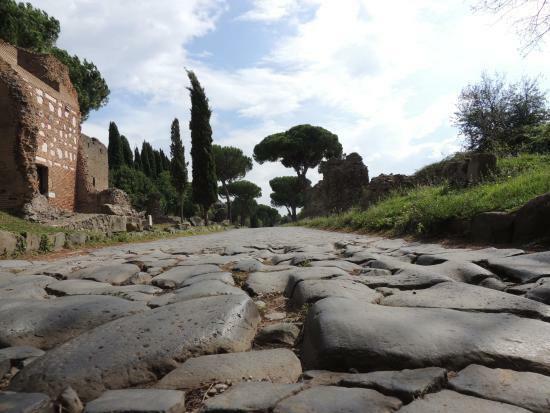 One of the most vital Roman strategic roads, The Appian Way connects Rome to Brindisi (southeast Italy). Built in 312 B.C. by Appius Claudius Caecus it stretches a massive 350 miles. 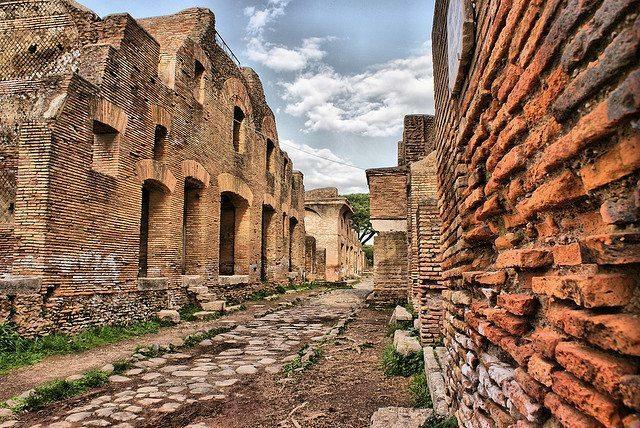 This is a popular walking route and is well known to take you away on a journey back in time, if you take a stroll down the Appian Way on a sunny Roman day. 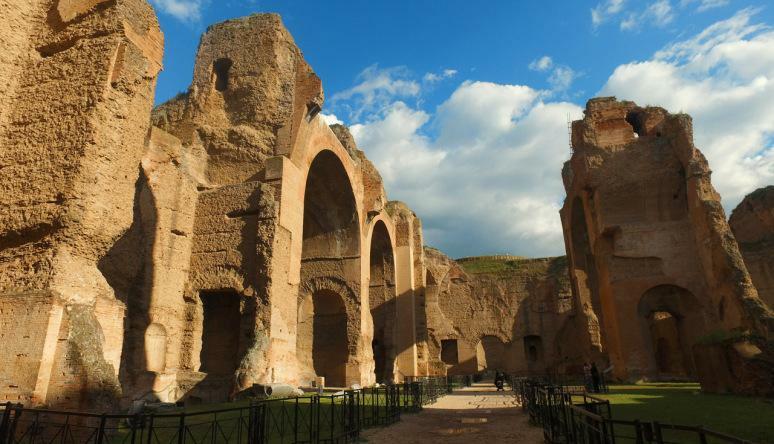 Started by emperor Septimius Severus in Ad 206 and completed by his son the emperor Caracalla in 216 these public bathing houses are the 2nd largest public baths in ancient Rome. Situated close to Circus Maximus and the Colosseum. The baths were gigantic buildings, with massive frescoed vaults. The baths were depleted over time due to a combination of earthquakes and negligence, however they remain an impressive attraction for visitors to Rome. Situated close to the Pantheon and Piazza navona, this casual dining experience brings you an excellent selection of Italian favourites for an affordable price. Rated as the no.2 best place to eat in Italy, there are thousands of online reviews celebrating excellent food from the L’uliveto Shop. Like much of Rome the Basilica of San Clemte was built upon two other ancient ruins. 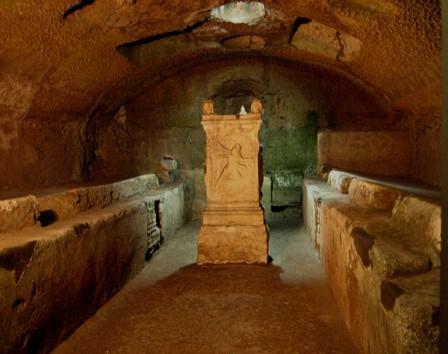 In this case it was built upon a 2nd-century pagan temple, a roman house and a 4th century church. 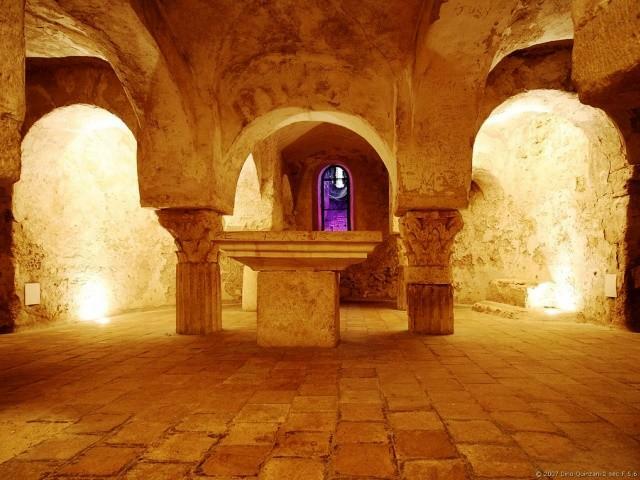 You can enter the basilica for a fee and partake in a fascinating subterranean journey 2 stories below ground level. This Roman Catholic Basilica is located close to The Colosseum. Located in the Trastevere district of Rome. Villa Farnesina offers visitors a unique glimpse into what life was like for the wealthy. Villa Farnesina is famous for frescoes created by Raphael that depict the mythical subjects of Psyche and Cupid. These famous pieces were commissioned by the owner of Villa Farnesina, a wealthy banker, around 1506. The Villa itself is magnificent, a true architectural masterpiece and is well worth a visit. Completed in c.125 CE, over 2,000 years ago this amazing structure is the jewel in the ancient Roman architectural crown. It is known to be the largest unreinforced dome in the world. 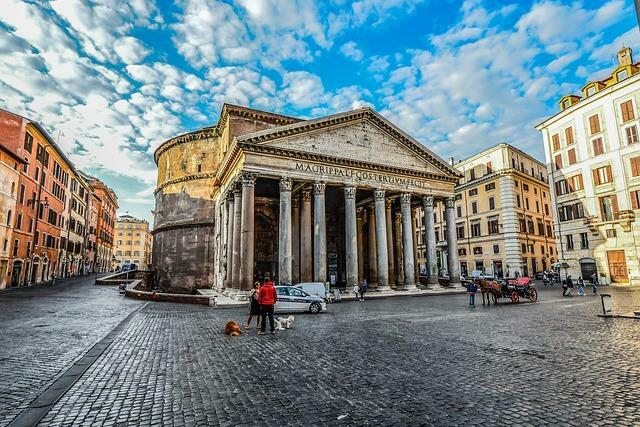 With eight masterful columns at the front of the dome with numerous smaller columns to the rear, the Pantheon is one of the most impressive buildings you are likely to see. 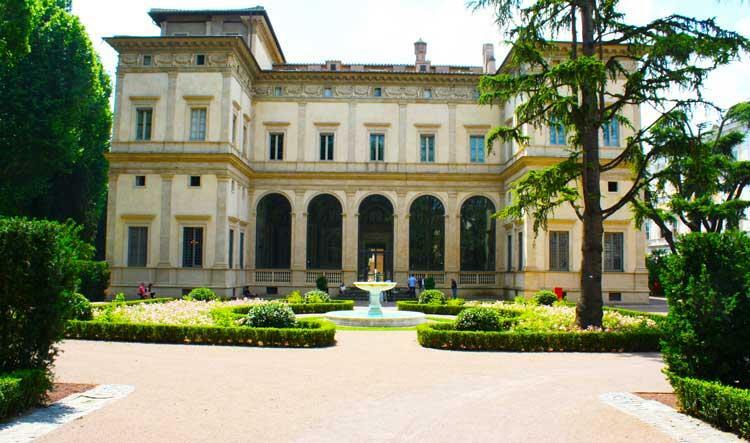 Located in the former Villa Borghese Pinciana the Galleria Borhese is an art gallery. Built in the 17th century as a place for events and parties by a nephew of Pope Paul V, Cardinal Sciopione Borghese. 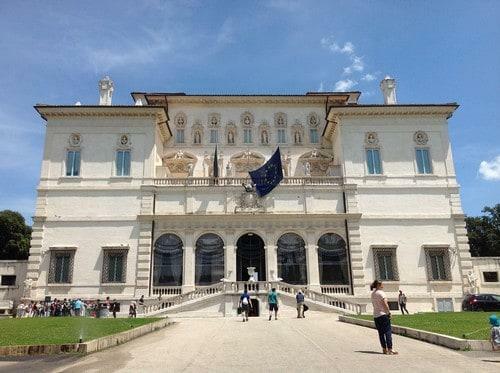 Today you can find the national museum of musical instruments in Galleria Borghese along with many priceless antiquities, sculptures and paintings most famously paintings by Titan and sculptures by Bernini. While the city itself is considered to be the best museum the eternal city has to offer, this museum is extremely well regarded by historians and tourists alike. One of the 7 hills of Rome the Palatine Hill has extensive links to Roman mythology and is featured in some of the most famous fables we still know today. It is thought that the Palatine Hill was where a wolf found twin boys Romulus & Remus, before caring for them them until recued by a sheppard. 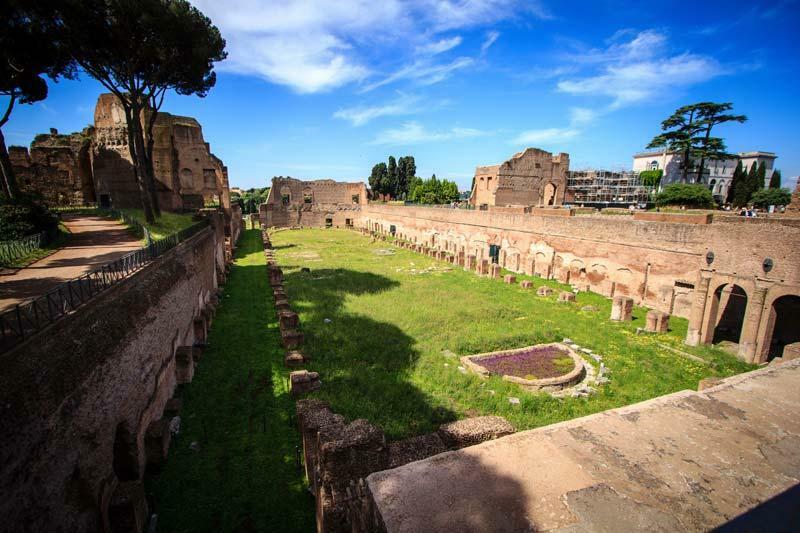 The Palatine Hill is where Rome was founded, originally it was built up with opulent palaces. However now it is full of ruins. Standing 40 meters above the Roman Forum on one side and Circus Maximus on the other. This hill is the most central of the 7 hills of Rome. This iconic hill is integral to the history of Rome. Located within the boundaries of the Vatican City the Vatican Museums are home to some of the world’s most ancient relics and antiquities. After being founded in the 16th century Pope Julius II donated a number of sculptures. 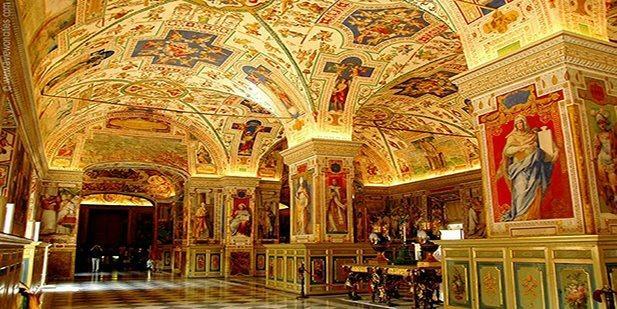 Today there are a number of museums and areas of interest within the Vatican. Between 1508 and 1512 Michelangelo painted the roof of the sistine chapel, known to be one of the best artistic pieces ever created tourists flock here every day for a glimpse of his work. 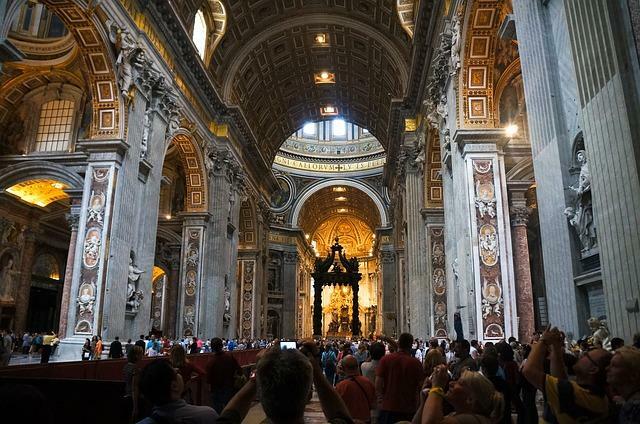 If you fancy a tour of the Vatican Museums be prepared for queues, in order to keep tourists in check the Vatican Museums have 4 separate tour itineraries ranging from 1.5 hours to 5 hours in length. 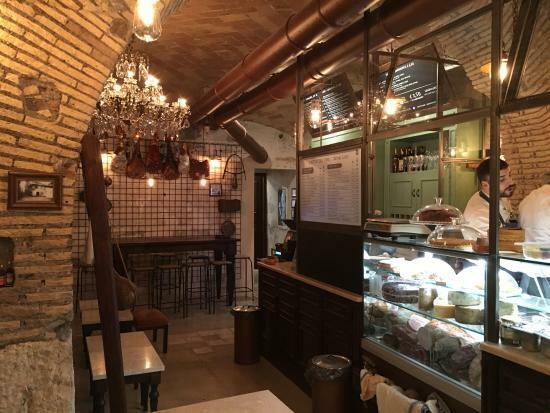 My Ale is an intimate dining spot in central Rome. It has seating for around 7 people, so you may have to get a takeaway to enjoy some of its food. Selling an array of craft beer. Located down a side street this place may need Google Maps to be found, but it is worth seeking out. Rated no. 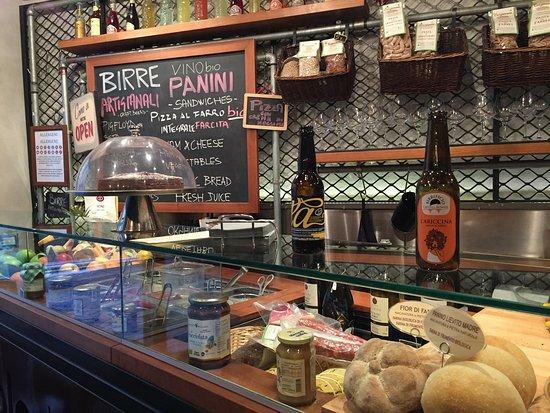 3 on Rome’s top rated places to eat. 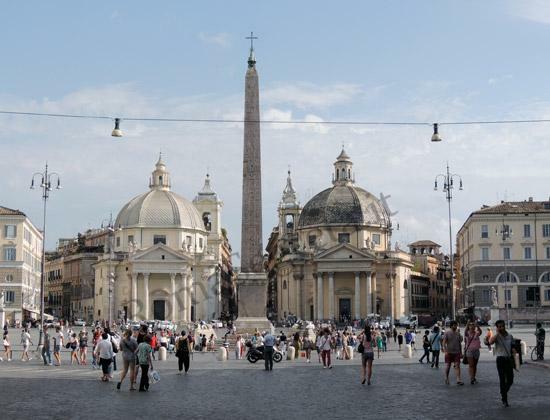 The Piazza Del Popolo or “people’s square” is a large urban piazza in North-Central Rome. It was laid out in 1538 to provide the wealthy a gateway into Rome from the North. The road extending from this north gate “Via Flamina” connected Rome to the Adriatic coast. 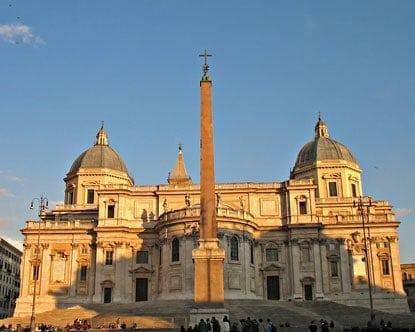 There are three churches on the square along with an eye catching Egyptian Obelisk and the northern city gate “Porto Del Popolo”. Believed to be the first catholic church built in Rome San Giovanni in Laterano literally translates to “St John Lantern”. It is one of four basilicas in Rome and is the home for the pope and archbishop. 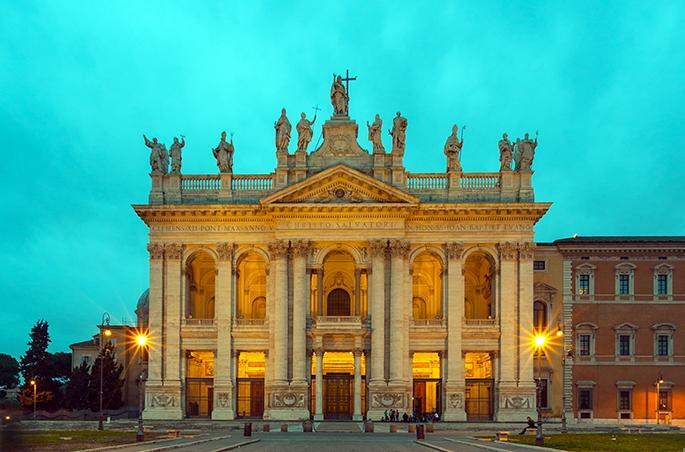 The basilica of Saint John Lateran was built under pope Melchiade between 311-314. Dedicated to Saint John The Evangelist & John the baptist the basilica is decorated to the highest level on its interior with paintings, mosaics and columns. 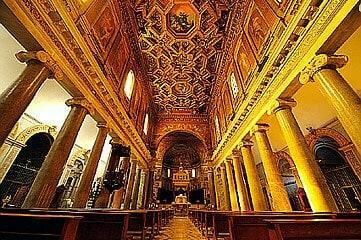 Santa Maria in Trastevere is one of the oldest churches dedicated to Virgin Mary in Rome. Situated in a quiet corner of the piazza it gets illuminated at night where you can see the mosaics on the external facade. First built in the 4th century it has since been extended and restored. This white marble monument is not one of Rome’s premier attractions, however it boast excellent views of the city. Designed by G Sacconi in 1885 it finally was completed in 1925. 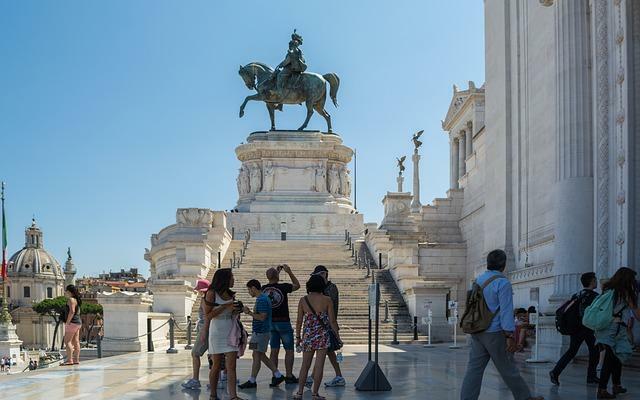 Victor Emmanuel II was the first king of the unified Italy and this monument was built in his honour. There are a few spaces within this monument worth noting, a museum of Italian immigration and another museum of Italian unification. Apart from that that, there is a rotating room used for exhibitions.These eerie tunnels are home to the earliest depictions of the Virgin Mary. Whilst also being home to many beautiful frescoes. Saint Peter’s Square or Piazza San Pietro in Italian is situated in the Vatican City, this is a large square which is fronted by Saint Peter’s Basilica. 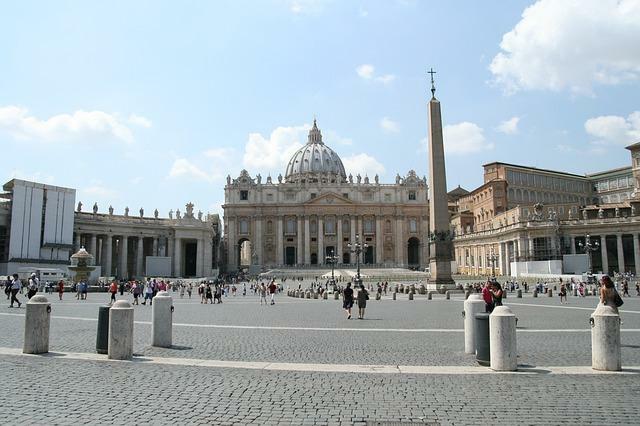 Saint Peter’s Square is probably Rome’s most popular square. Developed by Bernini between 1656 and 1667, the square is an oval or elliptic shape and is masterfully decorated on two side by imposing colonnade. These colonnades have statues on top and right in the centre stands an ancient Egyptian obelisk that was transported to Rome directly from Egypt by Emperor Augustus. The National Roman Museum or Museo Nazionale is made up of four different buildings; the Baths of Diocletain, the Palazzo Altemps, the Crypta Balbi and lastly, the Palazzo Massimo. These building hold a fantastic array of Roman treasures and can give you a great overview of Roman life and history. Some of these treasures include; amber, jewellery, bath houses, sculptures, marble work and much more. Campo de’ Fiori (field of flowers) is piazza located south of Piazza Navona and is rectangular in shape. This is a lively part of town, as throughout the day there is a buzzing market and at night it is one of the popular hotspots for the college student and people looking for a party. 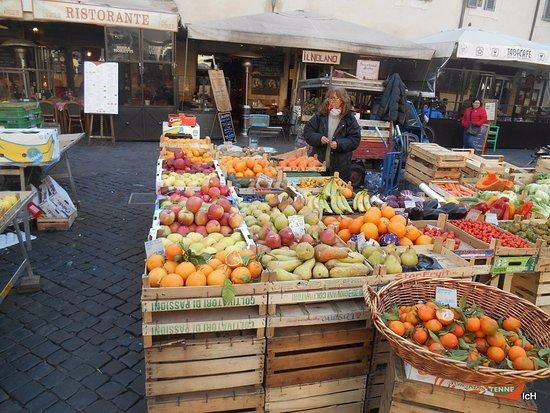 Campo de’ Fiori is popular with locals and is one of the most original places in Rome. This is the largest catholic marian church in Rome and is papal major basilica. This is famous for the festival on August 4th each year called “Miracle of the snows”, where white petals are dropped from the ceiling. this monumental 5th-century church stands on the summit of the Esquiline Hill, however the exterior was finished in the 18th century. The interior is highly regarded as one of the best preserved Byzantine interiors in the city. Up their with the Panteon as the most visited an well known buildings in Rome. 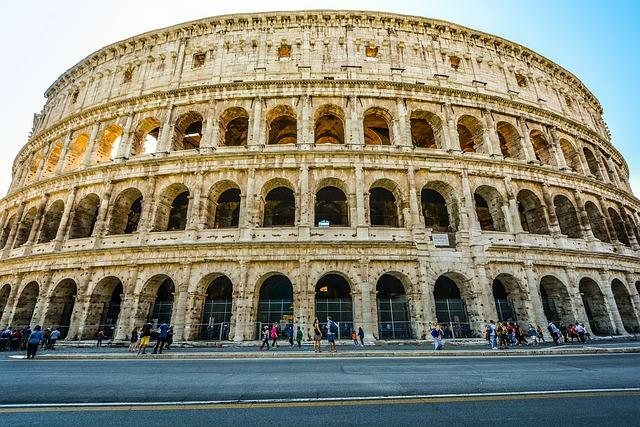 The Colosseum is absolutely steeped in history, the walk up to it, the area surrounding it and the building itself make for a spine tingling sense of awe and amazement that each and every visitor can experience. Emperor Vespian started construction in 72AD and completed by his son Titus in 80 AD. The amphitheater held a 50,000 strong crowd. These people turned out to watch the very best gladiators battle it out in the quest for survival. It also held public executions and other sorts of public entertainment. Made from a combination of stone and concrete this amphitheater was the largest in the entire Roman empire. It was world renowned at the time and still is today. This amazing feat of architecture is truly something to behold. Built on the site of the Stadium of Domitia in Rome, this is probably one of Romes most popular piazzas. 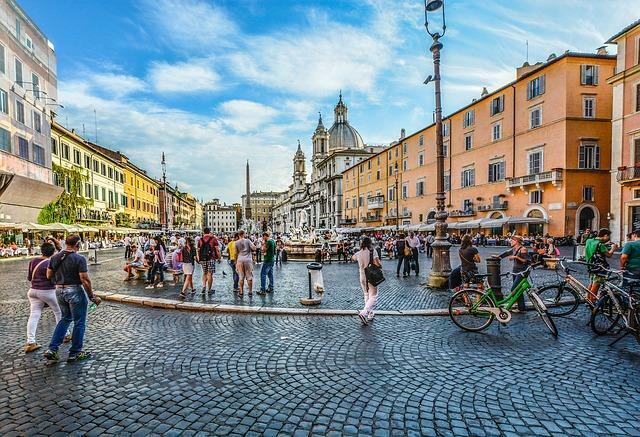 Laying host to ornate fountains, baroque style mansions and colourful cast of street artists, hawkers and tourists, Piazza Navona is central Rome’s elegant showcase square. Built by Emperor Domitian in 86 AD the Stadium of Domitia was even bigger that the Colosseum and was used for sporting ad public events. Today the area is probably best known for its amazing people watching opportunities and is our no.1 place to have a coffee in Rome. Boasting a 400 foot high interior this church is massive in term of its physical scale, but it is equally huge in its meaning. The Papal Basilica of St. Peter in the Vatican or Saint Peter’s Basilica is the home of the Catholic church and spiritual home for all practising Roman Catholics. The church itself remains the world’s largest church and is one of the world’s leading tourist attractions. The basilica stands on the site where the first ever pop “Peter” was crucified and buried. Construction took over 100 years after beginning in 1506 it was finally completed in 1615, Michelangelo worked on the dome while many other famous artists contributed to the design in some way. Some trivial information on Saint Peter’s Basilica: You can easily fit the Statue Of Liberty within the church itself.. Wow…. Thats a big church. 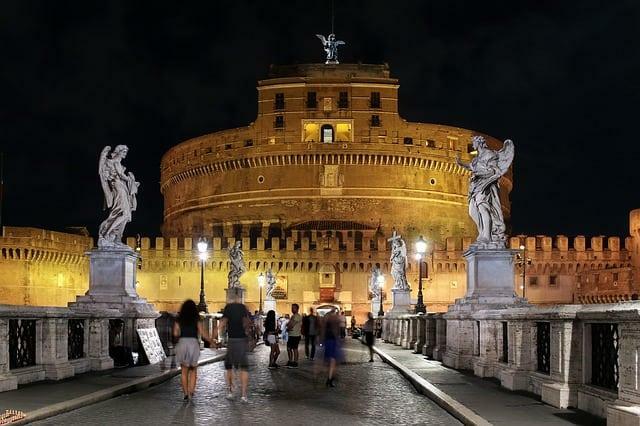 Castel Sant’Angelo or The Mausoleum of Hadrian is a towering cylindrical building in Parco Adriano, Rome. Built in 123BC It was later changed into a castle and papal fortress. Funnily this building was also used as a prison but now all the prisoners are gone and the keep is a well known and loved museum. 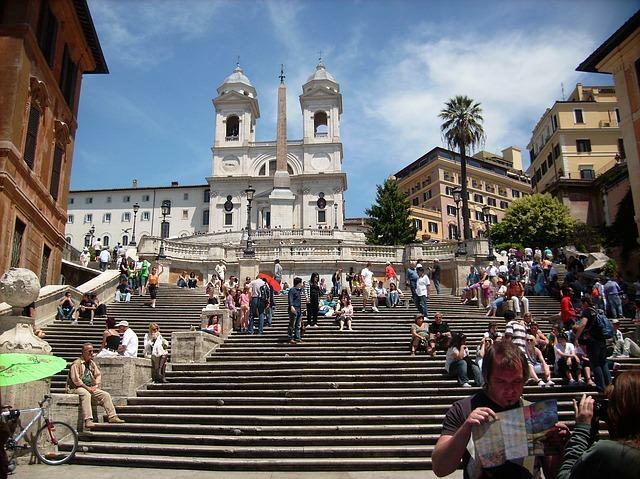 The Spanish Steps are dominated by the Trinità dei Monti church at the top and are a long stairway stretching from Piazza di Spagna at the base and Piazza Trinità dei Monti. The steps are a wide irregular staircase which consist of 138 steps placed in a mix of curves, straight flights, vistas and terraces. Built with French funds in the 18th century. This Rome Attraction is well known and used by locals and tourists alike. It is very busy throughout the year and is a great place to grab a coffee and stroll around. At the base of the steps in Piazza di Spagna you can see a fountain designed by Bernini. The ancient centre of Rome, a sprawling, bustling centerpiece where historic public speeches, parades and elections took place. 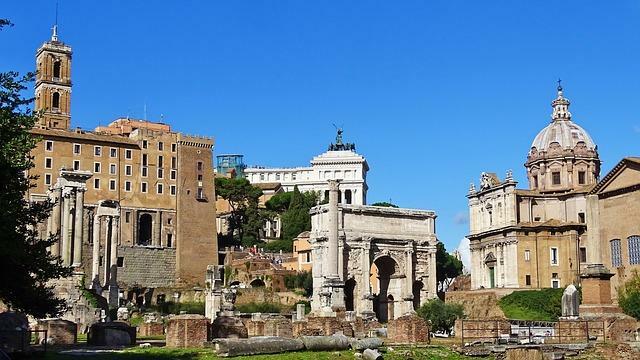 Located between the Capitoline and Palatine Hills, the Forum today is a majestic look into Roman history through its spectacular ruins including temple of Antoninus Pius and faustina along with the temple of Saturn. It was a grandiose district consisting of churches, government buildings and important public spaces, sadly much of it is lost to time. The Roman Forum is close to the Colosseum. This Roman masterpiece designed by Nicola Savi in 1792 is a world renowned baroque fountain, feature ornate depictions of the mythological Neptune (god of the sea) side by side with two Tritons. The area was know for the converging of three roads (tre vie) that is where it got it name Trevi Fountain. Located close to the pantheon the Trevi fountain is a great place to see, watch the crowds..
Legend has it that a visitor that tosses a coin into the Trevi Fountain is bound to revisit the Eternal City again. 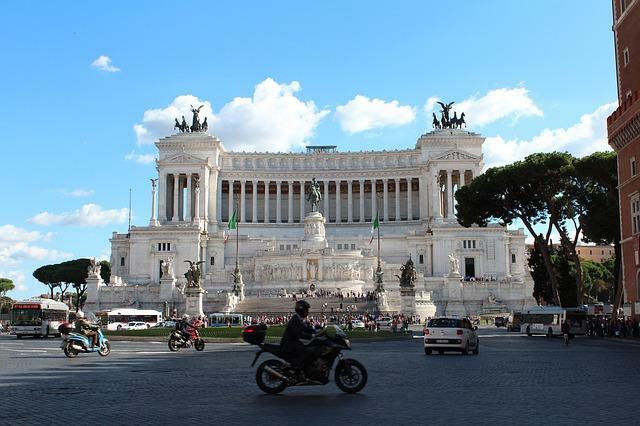 Piazza Venezia is the last in our list of the Top 30 Tourist Attractions In Rome, but certainly not the least. This busy thoroughfare is the hub of central Italy and although it is surrounded by an array of cars andVespa’s this is a spectacular centrepiece of Rome. This brings us to the end of the HolidayCloud list of the Top 30 Tourist Attractions In Rome, thanks for stopping by. Please feel free to like or share this list with anyone you think may enjoy it.